When the Trump administration released its proposed budget for the upcoming federal fiscal year, the budget contained a proposal for a major change involving two of the nation’s most prominent civil rights agencies, the Equal Employment Opportunity Commission (EEOC) and the U.S. Department of Labor’s Office of Federal Contract Compliance Programs (OFCCP). Regardless of whether and when this change will occur, the proposal underscores the idea that the Trump administration intends to move forward aggressively with its plan to limit regulatory burdens on corporations and reduce the size the federal government. While change may be coming, the Office of Federal Contract Compliance Programs today under President Donald Trump continues to operate much as it did in the last few years of the Obama administration. Thomas Dowd, a hold-over from the Obama Administration, continues in his role as Acting Director of OFCCP, and Secretary of Labor Alexander Acosta has not indicated when a replacement for Mr. Dowd will be chosen. The agency is continuing its recent practice of doing “deep dives” during compliance reviews where it may examine a myriad of issues and request extensive additional information. OFCCP is continuing to focus on the compensation practices of federal contractors and subcontractors, and is continuing to evaluate efforts made by federal contractors and subcontractors to implement the revised regulations regarding protected veterans and individuals with disabilities that came into effect in 2014. OFCCP released a round of pre-scheduling notices (formally known as corporate scheduling announcement letters or CSALs) in February of this year, and will be scheduling compliance reviews from that list during 2017. A total of 800 establishments representing 29 industries and 375 distinct companies were sent pre-scheduling notices. This continues OFCCP’s recent practice of conducting multiple reviews of certain federal contractors and subcontractors. OFCCP has indicated that the pre-scheduling notices sent in February are a “first release” of possible organizations that may undergo review during the remainder of federal fiscal year 2017. (Federal fiscal year 2017 runs from October 1, 2016 through September 30, 2017.) Results from this round of 800 compliance reviews may provide further insight into the manner in which OFCCP will handle affirmative action compliance reviews this year. On Tuesday, May 23, the Trump administration released its budget proposal for federal fiscal year 2018. (The 2018 fiscal year runs from October 1, 2017 through September 30, 2018.) In its budget proposal, the administration states its intention to merge OFCCP with the Equal Employment Opportunity Commission (EEOC) by the end of federal fiscal year 2018. This would be a fundamental change for these two agencies. OFCCP's budget justification stated that the agency will continue to conduct compliance reviews and provide technical assistance as it works towards this merger. While much of the focus concerning OFCCP surrounds the agency’s proposed merger with EEOC, a much more immediate (and perhaps more profound) outgrowth of the proposed budget involves funding for the agency during federal fiscal year 2018. During the upcoming federal fiscal year, OFCCP would receive a funding cut that would reduce the agency's budget to $88 million from its current level of $105 million. The agency expects that its allotment for staff would be cut from a formal allocation of 571 at the start of fiscal year 2017 to 440 at the start of fiscal year 2018. Regardless, a much smaller workforce will limit the agency’s activities. While OFCCP currently does not have 571 employees, a reduction to 440 employees would be a major cut in the agency’s workforce. Such a reduction would dramatically affect the agency’s ability to conduct compliance reviews, and would likely hinder the agency’s ability to move forward with any new initiatives. If the proposed Trump administration budget is adopted, it is not clear whether OFCCP would be able to achieve the new staffing level through attrition and reallocation of staff to other agencies, or whether there would be direct staffing cuts. Regardless, a much smaller workforce will limit the agency’s activities. The proposed budget cut for OFCCP is likely to have other effects on the agency. OFCCP has been seeking to modernize various IT systems for several years. The agency has also been asking for additional funding to assist in its evaluation of compensation systems and practices. Under the proposed budget, there would be no new funding available for these kinds of changes. Second, OFCCP expects to continue to focus on evaluating the compensation systems and practices of federal contractors and subcontractors. OFCCP’s budget justification indicates that the agency will continue “prioritizing those [compliance] evaluations with evidence of systemic pay issues.” The budget justification states that OFCCP expects 35 percent (35%) of the discrimination conciliation agreements issued during federal fiscal year 2018 will address systemic pay discrimination issues. It is unknown what the full impact of a merger between EEOC and OFCCP would have on the federal affirmative action laws and regulations. However, there are many logistical and political hurdles to overcome before a merger can happen. As noted above, this merger will require major revisions to a series of laws and regulations affecting two different agencies. Such revisions are likely to be complicated by the fact that OFCCP is part of an executive agency overseen by the President, while EEOC is an independent agency whose head is not part of the President's cabinet. There are also a number of organizations that oppose the proposed merger of EEOC and OFCCP. For example, on May 23 the Subcommittee on Workforce Protections in the U.S. House of Representatives received testimony from both the U.S. Chamber of Commerce and the NAACP opposing the merger. During this testimony, opponents of the merger noted that each agency has a unique mission: OFCCP is an agency promoting affirmative action for federal contractors and subcontractors, while EEOC is a civil rights agency resolving complaints of discrimination against organizations that may or may not be involved in government contracting. Opponents of the merger also noted that the agencies have different authorities and remedies to carry out their respective missions. The idea of merging OFCCP with the EEOC has been suggested by several previous presidential administrations over the last 25 years, and yet OFCCP has remained a separate agency. Budget proposals, regardless of presidential administration, are rarely enacted in the form in which they are initially proposed. The current administration's budget proposal is likely to go through a series of significant modifications once Congress begins debate on this proposal. Until such a time as formal changes occur at OFCCP, federal contractors and subcontractors must continue to implement the affirmative action laws and regulations as they currently stand. One thing that is clear from the proposed budget is that OFCCP is very likely to see a significant reduction in resources that are allocated to the agency. This may mean a reduction in the number of compliance reviews during federal fiscal year 2018. However, a smaller number of compliance reviews may not diminish the intensity of the reviews that do occur. Thus, federal contractors and subcontractors should continue to prepare effectively for a review of their personnel practices and decisions, especially in areas such as outreach and hiring of protected veterans and individuals with disabilities and compensation practices. 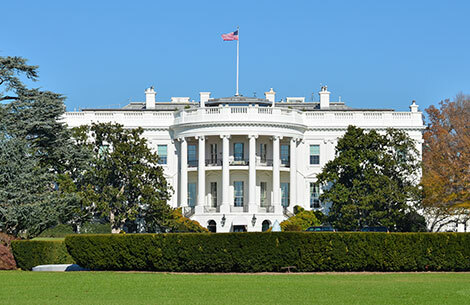 The entire Trump administration budget proposal can be found at the portion of the White House’s website that is devoted to the Office of Management and Budget, https://www.whitehouse.gov/omb. The budget proposal is supplemented by a variety of additional documents that provide additional detail on the budget proposal itself. OFCCP’s congressional budget justification for federal fiscal year 2018 can be found on the Department of Labor’s website at https://www.dol.gov/general/budget. The actual budget justification for OFCCP is found at https://www.dol.gov/sites/default/files/CBJ-2018-V2-10.pdf. Many thanks to Senior Consultant Zach Olsen at HR Analytical Services for his contributions to this article.